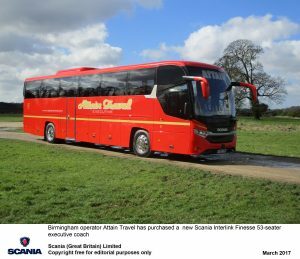 Birmingham operator Attain Travel has purchased a new Scania Interlink Finesse 53-seater executive coach. 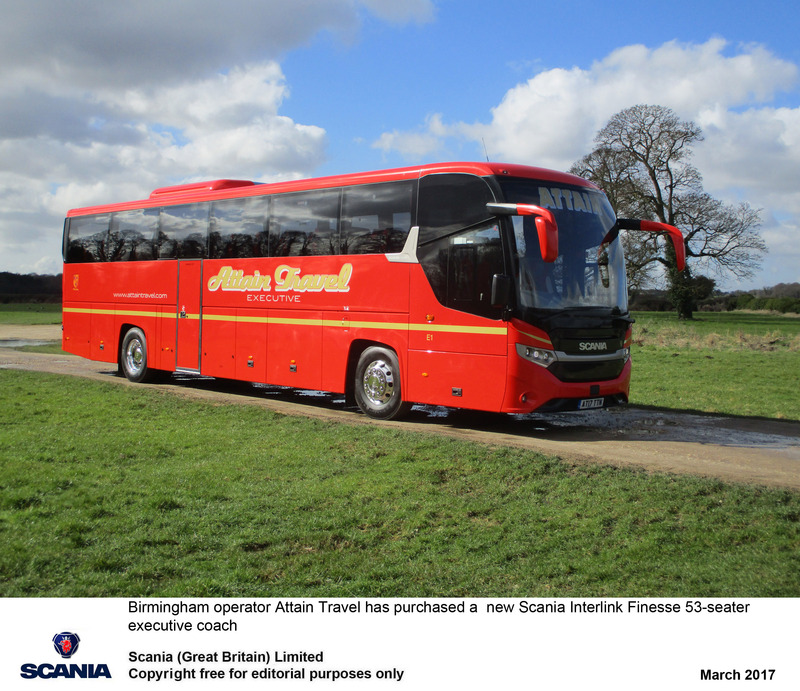 Based on Scania’s K 410 EB4x2 410 horsepower chassis with fully automated Opticruise gear-selection system, the vehicle is equipped with half-leather reclining seats with USB charging points at each seat, a centre sunken toilet, a drinks machine, a DVD player with two monitors, extra dark tinted glass and Alcoa Dura-Bright aluminium wheels. Scania is a part of Volkswagen Truck & Bus GmbH and one of the world’s leading manufacturers of trucks and buses for heavy transport applications. 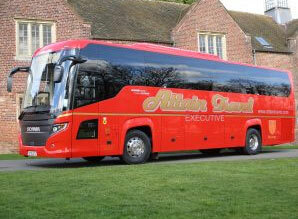 Employing some 44,000 people, the company operates in approximately 100 countries. Research and development activities are concentrated in Sweden, while production takes place in Europe and South America, with facilities for global interchange of both components and complete vehicles. In 2015, net sales totalled SEK 95 billion and net income amounted to SEK 6.8 billion. 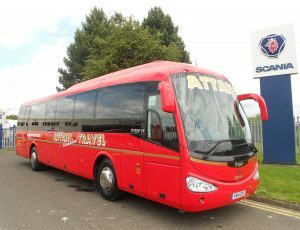 Scania is a major supplier to UK industry of trucks, buses, coaches and engines for industrial and marine applications. Additionally, the company provides a wide range of complementary and ancillary services in support of its products and customers through its 89-strong network of service centres. In 2016, Scania’s share of the UK heavy truck market was 20% and its 2015 combined bus and coach market share amounted to 7%.